Satisfied students at Coventry University have voted their place of study best in the country for personal development in the National Student Survey 2015. Coventry University, which ranks seventh overall in the UK, was voted top for personal development, which measures how students feel their confidence, communication skills and ability to tackle problems have improved during their studies. 91% of students expressed satisfaction in this category (up from 90% in 2014). 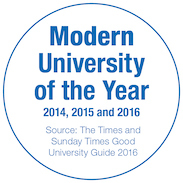 Coventry was voted the leading modern university for the standard of teaching, the level of academic support on offer and for how well its courses are run. 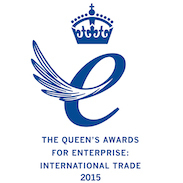 It was also voted joint top for the quality of assessment and feedback which it gives to students. 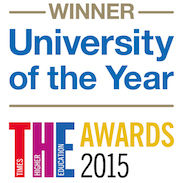 Amongst Midlands universities, Coventry takes top spot for assessment and feedback, and is joint top for teaching and academic support. 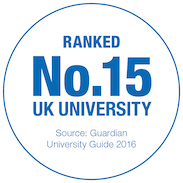 Vice-Chancellor John Latham said: ‘We’re especially pleased to have been voted top for personal development as we believe that this is one of the most important aspects of university study. 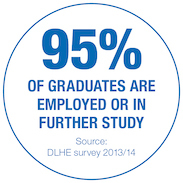 We put a lot of effort into ensuring our graduates are well prepared for the workplace, offering courses with a strong focus on employability and making placement opportunities, many of which are international, readily available. ‘But we’re also keen for our students to develop their interpersonal skills and to become more self-assured. Any lecturer will tell you that one of the most satisfying parts of the job is seeing their students come out of their shell and grow in confidence over time.